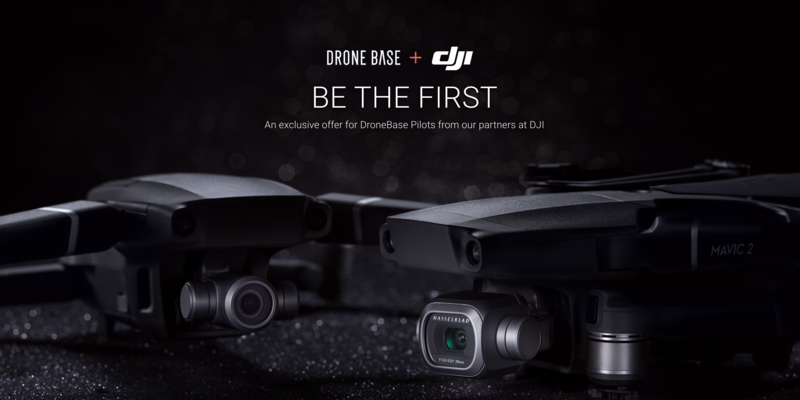 Two Exciting Offers from DJI + DroneBase! Last week, DJI officially announced the launch of the Mavic 2, a drone that embodies all of DJI’s advanced signature technologies, completely redefining what is possible for the world of aerial photography. The Mavic 2 offers iconic Hasselblad image quality on the Pro and a high-performance zoom lens on the Zoom - and now, Pilots can shoot in 20 megapixel resolution! Photo and video resolution is extremely important to DroneBase. As the leading provider for aerial imagery and data, one of our core customer promises is to deliver only the highest-quality video and imagery. To maintain that promise, we encourage all DroneBase Pilots to shoot in the highest resolution available - which now means shooting in 20MP whenever possible. As the industry expands, more and more customers have voiced the need for assets to be delivered in 20MP instead of the once-standard 12MP. As a response to that growing customer demand, we are prioritizing all Pilots who are able to shoot in 20MP in the DroneBase Dashboard. This may mean greater visibility for individual, and a higher likelihood of receiving Client Missions. For a limited time, DroneBase Pilots will receive one free battery (a X value) with the purchase of a Phantom 4 Pro 2.0. The new Mavic models will sell out quickly, but DroneBase Pilots won’t have to wait months to receive their orders! In partnership with DJI, we’re offering Priority Ordering, which allows you to get to the front of the purchasing “line” and avoid your purchase becoming a backorder! This offer is only available for DroneBase Pilots. If you haven’t already signed up, visit www.dronebase.com/pilots to register. If you’re already in our system, be on the lookout for an email from Team DroneBase with more information! Next PostTwo Exciting Offers from DJI + DroneBase!